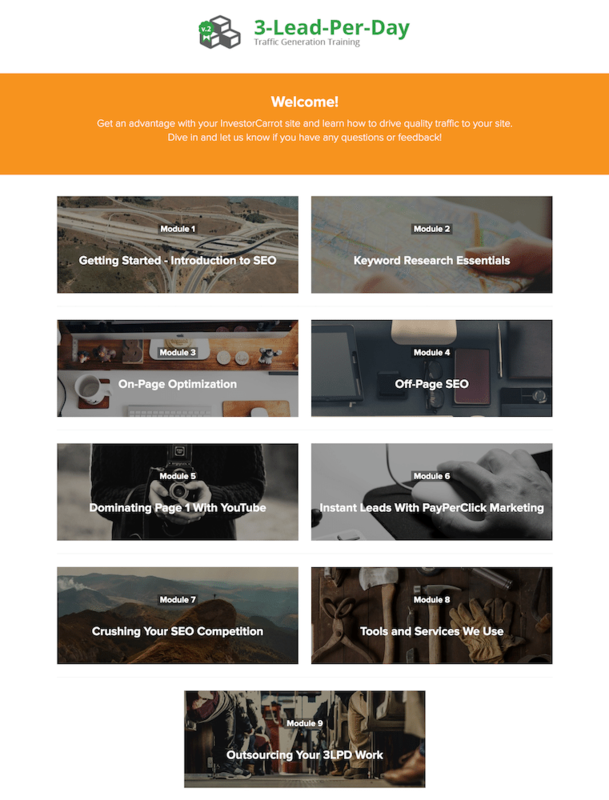 Want to 10x your online marketing abilities? Our trainings can help. I also have been working on the 3LPD content. I finished all my citations and did the “low hanging” backlinks. I am already seeing results which is pretty cool. I am hitting the number 2 spot for some keywords. I’m working my way through the 3LPD training, I’ve had the site up for about 4 weeks, got a lead on Tuesday, 2 leads on Wednesday, and 1 yesterday. The 3LPD training and implementing is a lot of work but it’s good to see it paying off! This is our most popular and most implemented training by far. 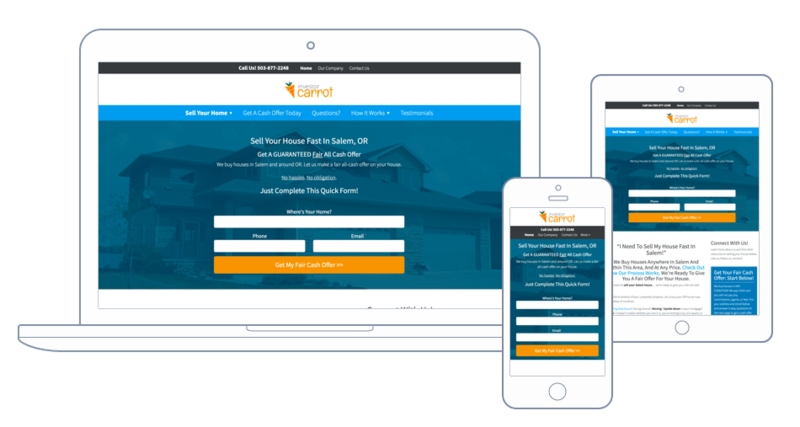 When we first started InvestorCarrot we were working with a few of the top investors in the nation. Guys closing hundreds, if not thousands of deals a year. We spent a lot of time working with them on SEO, PPC, YouTube, and other traffic generation strategies. As we grew, more and more investors wanted in on the action. Our time was limited and we couldn’t handle all of the requests. So we took all of our steps, put them into short concise videos, and included the worksheets and checklists we used personally and put it in a training. 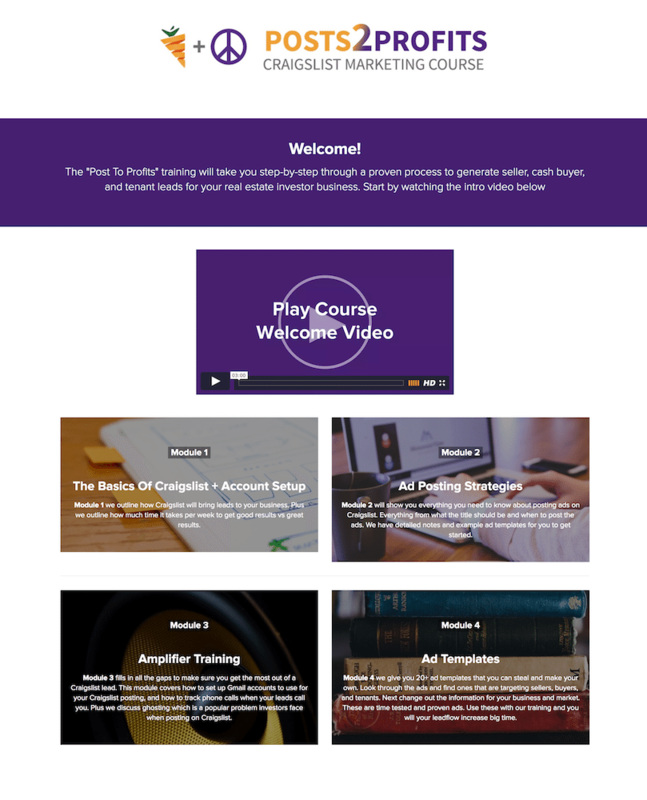 The 3lpd training walks you through the basics of SEO all the way to outsourcing your work in 9 modules with about 5-10 videos in each module. Learn all at once, or go at your own pace. It’s an ever-changing training. We are on version 4 of it right now and will always update it with industry best practices. The 3lpd training is available to members for a one-time payment of $297 $99. We have heard customers claim that Craigslist marketing is the easiest way to drive traffic to their site. But Craigslist can be tricky. For starters, the rules are always changing and people are always looking for ways to find what works best. This training is an excellent resource for the real estate investor looking to drive traffic quickly and wants to get in front of leads who are asking questions and actively looking for answers. Facebook’s platform has exploded in the last 2 years with their retargeting and new Facebook Live features. We have seen investors have great success marketing their services and brands on Facebook. In this training we teamed up with Daniel, a Carrot customer, and Facebook marketing pro, to show you exactly how he drives traffic and leads to his business through Facebook. 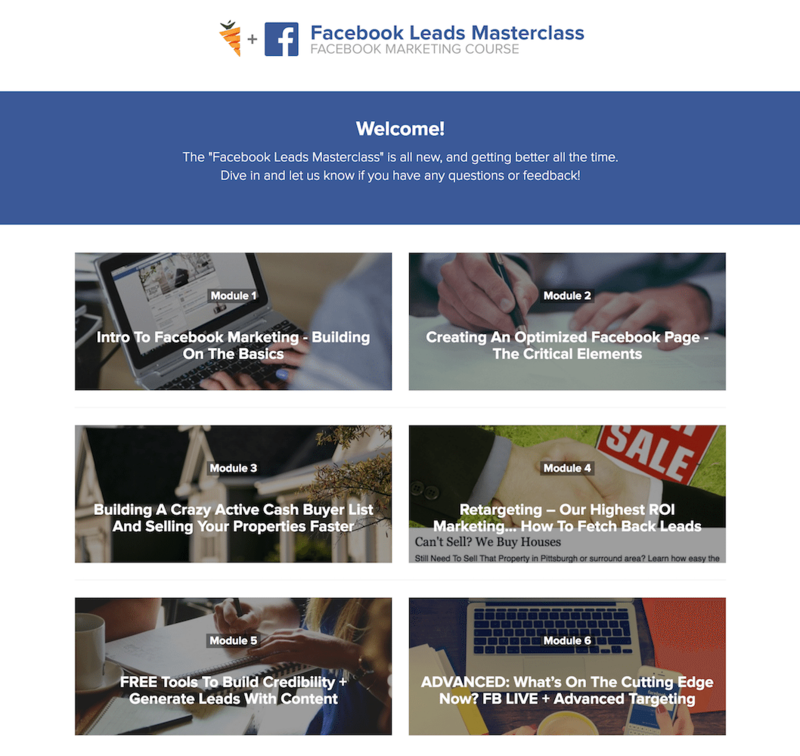 This training is great for any investors looking to use Facebook’s platform to drive leads through their business.